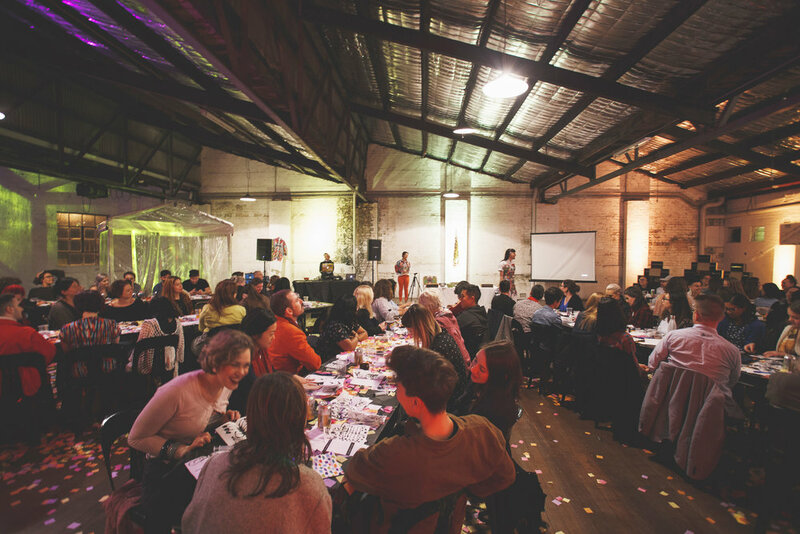 We caught a glimpse of arts and health organisation Flutter Lyon at the Kaleido magazine launch, where CEO Robyn Wilson joined the amazing panel, discussing balance and mental health in creative industries. Drawing on her experiences at the intersection of art and mental health, she has seen first hand how art can transform the way we think, and break down barriers. 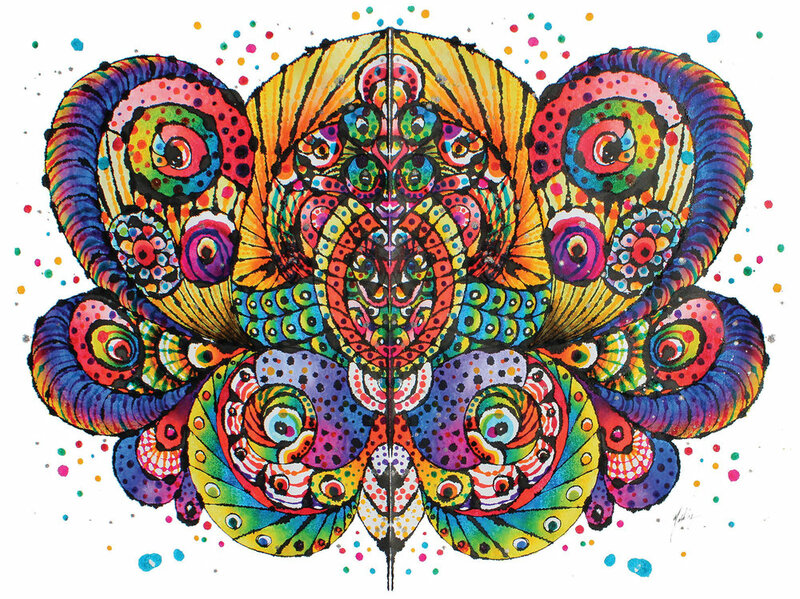 Combining art with undivided attention, Flutter Lyon are changing the way we talk about mental health. Robyn has spent years perfecting the practice of her life pressing sessions, where she responds to people’s stories of courage, love, freedom and joy, resulting in a stunning ink pressing artwork as a visual biography of your strengths, knowledge and growth in your life. The artworks are filled with symbols from your experiences, and the process allows you to open up and share deep personal experiences in a safe and supportive environment. This work has had incredible results within palliative care, and for individuals, families and organisations across Australia, and Flutter Lyon now want to share this experience with everyone, so that emotions and mental health become dinner table conversations with the people you love. We were honoured to host the launch of their latest project this week, Momentoria: Stories of the People we Know, an art kit that teaches you how to record your own stories and the stories of the people you know, through art. Alongside a 12 week course, the kit provides you with all the skills, knowledge and inspiration to engage in important conversations with the people in your life to form deeper connections and better support and care for one another. The launch of Momentoria was a stunning initiation into the project. 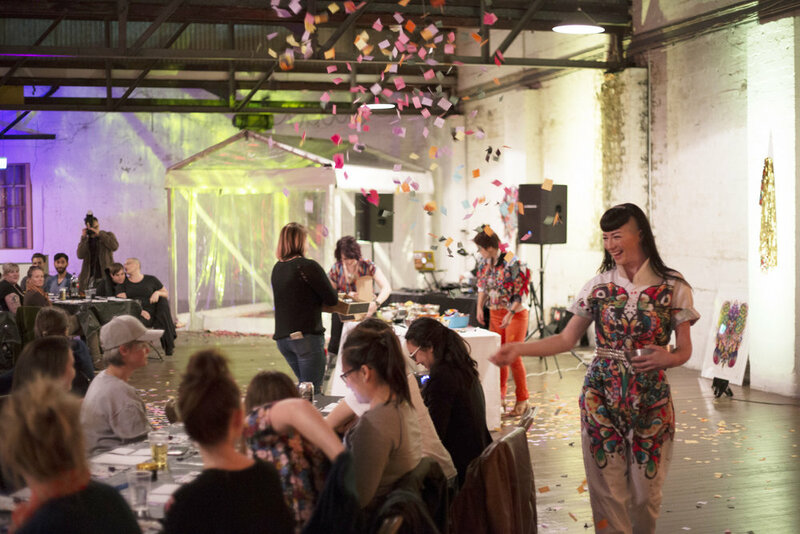 Beginning with a ceremonious entry procession and confetti blessing, it gave everyone the chance to look at the beautiful art kits and enter into the evening ready to open up and create. 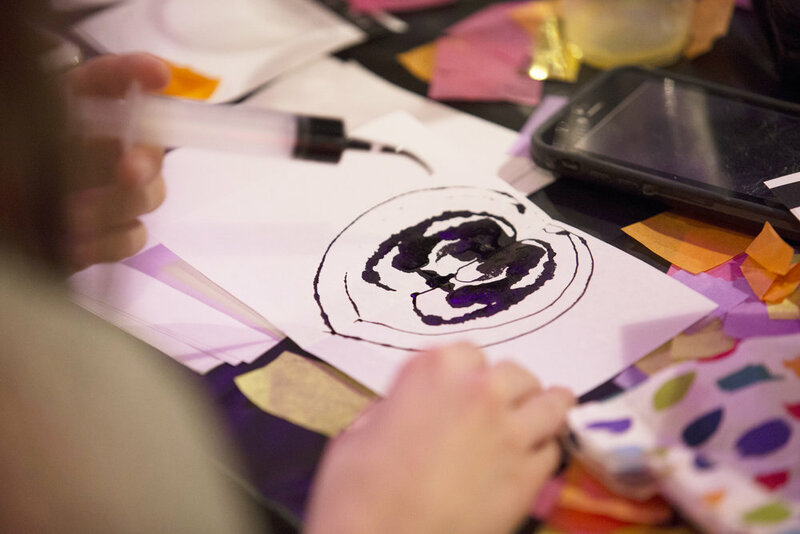 The workshop journeyed through multiple stages, first helping you wield the ink and syringes and then helping you put your personal experiences onto paper through symbols that matter to you. The process is beautiful, cathartic and surprising. You can create the lines and shapes that reflect your story but something even more magical happens when you fold the page together and see it reflected into it's final form. The final part of the workshop allowed you to create an artwork for another person, sharing a personal story of courage. Although opening up to someone and telling them an intimate story can seem daunting, the space was so warm, safe and supportive that it quickly melted away any worries, and allowed you to use the art process to capture details and also ask deeper questions that arose as you created. Mental health remains a taboo topic for most people, but we need to change this and open up ways to allow us to discuss, reflect and support each other in meaningful ways.